Peter Asher’s legendary music career began in 1964 as one-half of the singing duo Peter & Gordon, who amassed nine Top 20 records during their career. 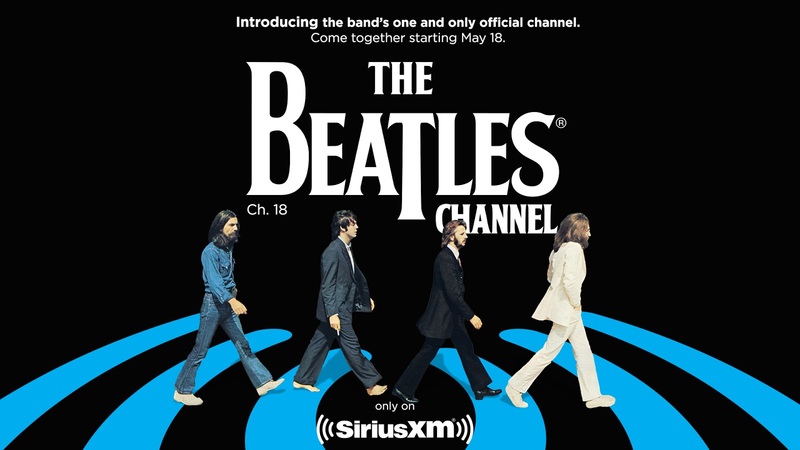 Their debut single, “A World without Love” – a song given to them by Paul McCartney – went to number one in over 30 countries, including the U.S. and U.K. In 1968, Mr. Asher became head of A&R for the Beatles newly formed record company, Apple Records, where he found, signed and produced James Taylor and worked closely with the Beatles on their individual projects. During this period he became a key figure in the “revolution” of The Sixties, founding the book shop and art gallery “Indica” (where John and Yoko met and where Allen Ginsberg and William Boroughs visited) and found himself at the centre of an era of profound social and artistic change. 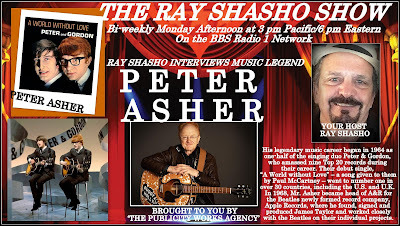 In 1971, Asher moved to the U.S. and founded Peter Asher Management, representing James Taylor and, beginning in 1973, the management and production of Linda Ronstadt as well. 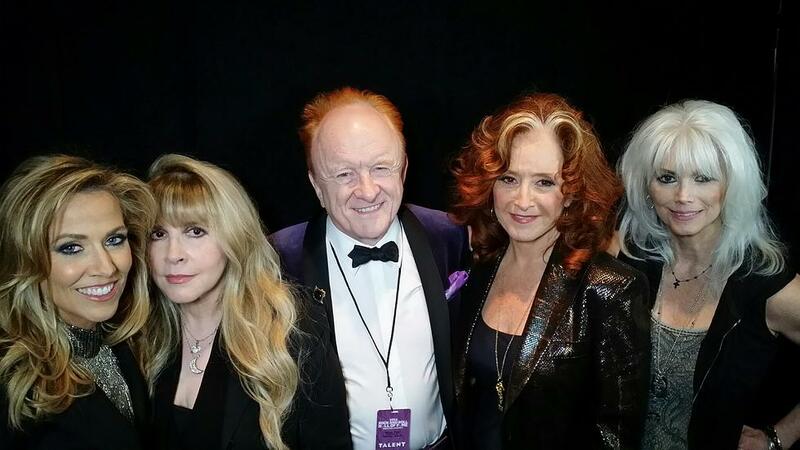 Peter Asher Management became one of the most successful Artist Management companies in the US, handling artists such as Joni Mitchell, Randy Newman, and Carole King as well as James and Linda. Asher quit the personal management business in 1995 when he was appointed Senior Vice President of Sony Music, a post he held for eight years. Asher has been awarded 37 RIAA-certified gold albums and 22 platinum albums in the U.S., and many more internationally. 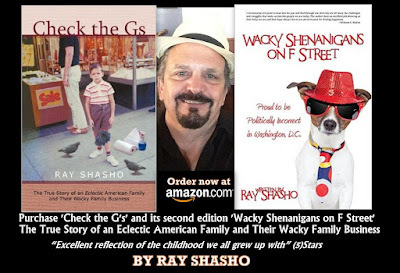 Mr. Asher has produced fourteen Grammy Award-winning recordings, and in 1977 and 1989 was honored individually with the Grammy Award for “Producer of the Year”. He won a further Grammy in the category of “Comedy Album of the Year” for his production work with Robin Williams. 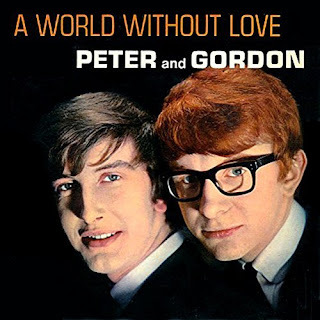 After a 37 year gap, Peter & Gordon reunited in New York for one benefit concert for a friend on August 2, 2005 which was very successful and they went on to perform together on various special occasions just for the fun of it until Gordon’s untimely death in July of 2009. Since then Peter has continued to be in high demand as a record producer, consultant, lecturer and as a performer again in his highly successful one-man show, “A Musical Memoir of the 60s and Beyond”. He has also received various international awards, is a member of Mensa and of SAG-AFTRA, President of the Los Angeles Chapter of the Recording Academy and has been a frequent keynote speaker at industry events. Other projects have included “Carole King & James Taylor Live at the Troubadour”, an album from guitar duo Rodrigo y Gabriela (“Area 52”, recorded in Cuba) and the Buddy Holly tribute “Listen to Me” (an album and PBS TV Special). With Hans Zimmer, Peter produced music for “Pirates of the Caribbean 4”, “Sherlock Holmes 2”, “Madagascar 3”, “Man of Steel” and “Rush”. In fact, Peter sang and produced the only original song in “Madagascar 3”, the love theme “Love Always Comes as a Surprise” which Peter co-wrote with his friend Dave Stewart. Recent productions include “So Familiar”, the follow-up album to the highly successful (and Grammy-winning) “Love Has Come for You” (Steve Martin & Edie Brickell) .These albums have also generated a PBS special and a stage musical, “Bright Star”, of which Peter is the music supervisor. Peter also directed the highly acclaimed Hans Zimmer Live show which first opened in London in 2014. It is now on an extensive world tour which began at the legendary Coachella Festival in California. 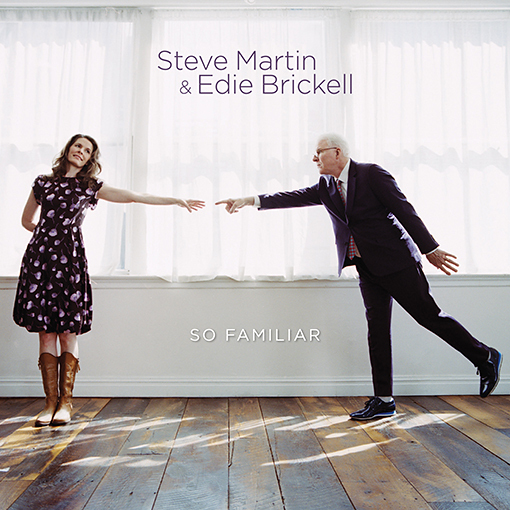 He recently worked with Steve Martin on a new bluegrass album with the Steep Canyon Rangers, and with Elton John on an album to celebrate the 50th anniversary of the Elton John/Bernie Taupin songwriting partnership. In the New Year’s Honours list for 2015, Peter Asher was awarded a CBE (“Commander of the Most Excellent Order of the British Empire”) by Her Majesty Queen Elizabeth, for services to the music industry. The official investiture took place at Buckingham Palace on February the 24th, conducted by Prince William, Duke of Cambridge. 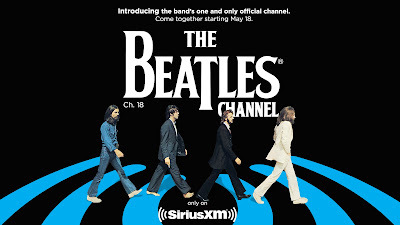 Most recently, it was announced with much fanfare that an official Apple-approved Beatles channel is to premiere on SiriusXM Radio at the end of May and that the programming will include a weekly one hour show, “From Me to You”, hosted exclusively by Peter Asher. 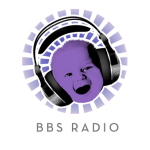 Very special thanks to Doug & Don Newsom with BBS Radio for making it all happen every show! 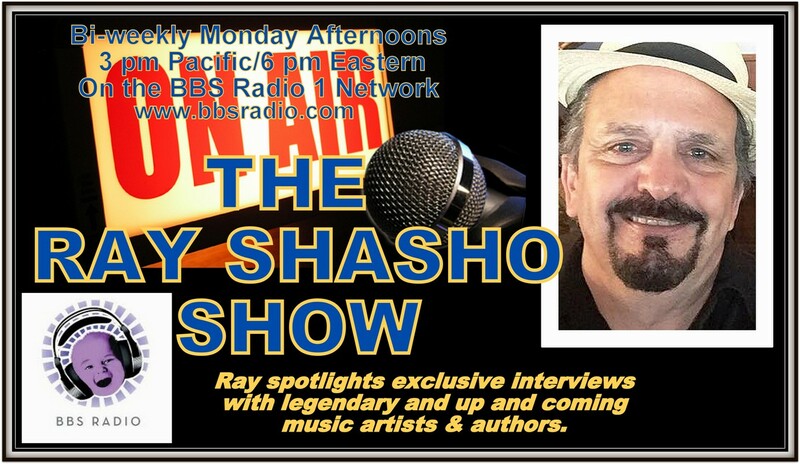 Join me bi-weekly Monday’s at 3 pm pacific/6 pm Eastern on The Ray Shasho Show. 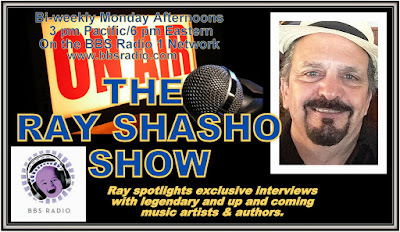 If you have comments or suggestions or would like to be a guest on The Ray Shasho Show call 941-877-1552 or email us at ray@publicityworksagency.com. Please don’t forget to purchase a copy of my book entitled Check the Gs -the true story of an eclectic American family and their Wacky family business … or the second edition entitled … Wacky Shenanigans on F Street- ‘Proud to be Politically Incorrect in Washington DC’ ... available now at amazon.com. You’ll live it!! !